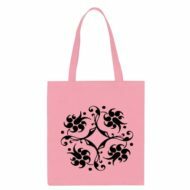 Custom printed tote bags are a great way to promote your business, organization, school, sports team, fundraiser, or special event. Promotional shopping totes make a great thank you gift and welcome gift to your new and existing clients and can be stuffed with other giveaways, bottles and more. Your customers will think of you every time they’re shopping around town or traveling! Whether you’re handing out or selling logo printed tote bags, it is a sure way to generate brand exposure and is a cost-efficient way to promote your business. 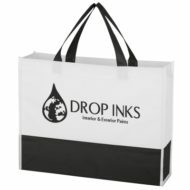 Custom shopping totes make a great promotional item for grocery stores, restaurants, banks, fitness studios, beauty salons, auto dealerships and more. We offer a variety of bag colors, sizes, and decoration methods. For the lowest price logo tote bags, shop with Progress Promotional Products! We offer high-quality promotional bags, a variety of decoration methods including a one-color imprint, metallic inks, full-color imprint, photo transfers, individual personalization, fast turn-around times, low minimums and lowest prices! Generate successful brand exposure with our customizable Non-Woven Economy Tote Bag! Made of 80 gram non-woven, coated water-resistant polypropylene, this promotional tote features convenient 22″ handles for easy carrying. This custom imprinted bag is a great giveaway for tradeshows, conventions, errands and more. Recipients will love to take this bag home and show off your advertising message! Order today! Free up your hands to greet potential and new clients when you carry this promotional Non-Woven Prism Tote Bag with you to trade shows, conferences, and other marketing events! 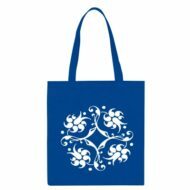 Made of 70 gram non-woven, coated, water-resistant polypropylene, this promotional tote is recyclable and reusable. It features a 3.50″ gusset along with 13.00″ handles for carrying convenience. Recipients will love to take this bag home and show off your advertising message! Order today!